Well, our wind-dependent friend! You’re a real kiter and you want to travel, observe and ride in new countries and on new spots. Winter is coming and it’s probably going to snow soon where you’re at now, so when December comes, you’ll be seeking to be off to somewhere. Ahead of winter, we’ve rounded up a dozen of prime global spots for you that are good for kitesurfing in December and during New Year holidays. Vietnam’s main kite spot – Mui Ne. You can ride both on the town beach and in the suburbs. It’s not a place for flat lovers – there are mostly waves and a high chop here. There’s a wavespot two hours away – Fanrang. Temperatures – around 30°C during the day, 21-25°C at night. Accommodation – from $10 per day. Food – from $5-8 for lunch. Melbourne is the most southern city of the world with a population of over 1 million. It is situated on Australia’s south coast, facing Tasmania. There are lots of spots for all tastes close to the city, both flat water and wavespots. 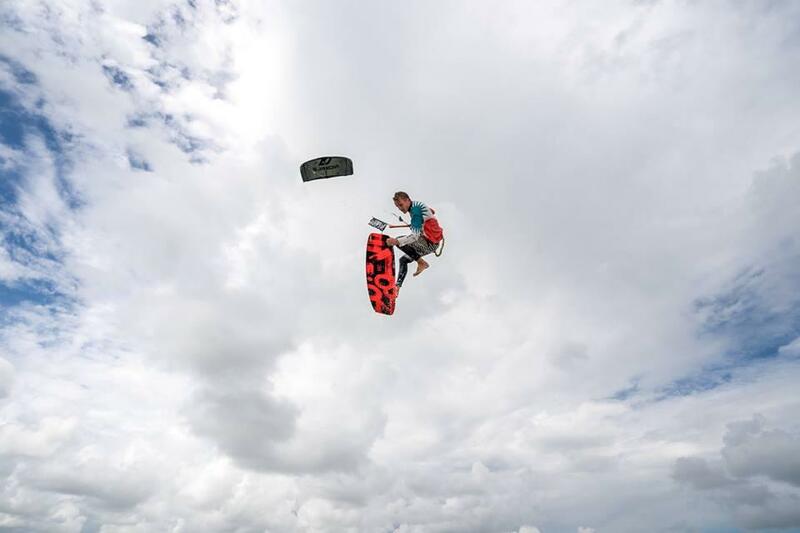 We didn’t choose Melbourne for the top-10 for nothing – it hosts a round of the World Kiteboarding Championships! The water is cool, so you’ll need a wetsuit. Temperatures – around 25°C during the day, 14°C at night. Accommodation – from $30 per day. Food – from $10 for lunch. Cape Town is probably one of the most popular kitesurfing spots. It is situated in the south-western part of South Africa, on the Atlantic. Cape Town not only boasts one of the best wavespots attracting world’s top riders in winter, it also hosts Red Bull King of the Air international tournament. The wind here is mostly suitable for smaller kites. The water is cold, so take your wetsuit. Temperatures – around 25°C during the day, 17°C at night. Accommodation – hostels from $5 per day, hotels from $30 per day. Food – from $8,5 for lunch. One of the most popular kite spots in Brazil – Cumbucu. Situated 32km away from Fortaleza International Airport, it’s as accessible as possible for tourists. The main part of the shoreline is a wavespot. Barra do Cauipe lagoon with an amazing flat and waist-deep waters is 5km away. Temperatures – around 30°C during the day, 25°C at night. Accommodation – hotels from $20 per day. Food – from $5,5 for lunch. Another cool kitesurfing spot - Walvis Bay in Namibia. Africa, the exotic Namibian culture and kitesurfing. Here you’ll find both flat and waves. The water in sheltered lagoons is warm, but the waves are cool, so you’d better take a wetsuit. The town of Luderitz is situated south of Walvis Bay. Kiters come here quite often in winter, it even hosts speed tournaments where records are sometimes set! Here you’ll also find both flat and wavespots. Temperatures – around 24°C during the day, 17°C at night. Accommodation – hotels from $30 per day. Food – from $9,5 for lunch. Mexico is the setting of many adventure films. That’s why it attracts tourists from all corners of the world! But there’s a place here for us, dear kiter. One of the most popular kite spots in Mexico – La Ventana. The village is situated on a peninsula on the San Francisco Bay. There are few hotels here and not a lot of competition. So that if you want to save some money, you can stay in the neighboring La Paz. As far as riding is concerned, there are both flat and waves here. For those who like to observe sea creatures there are lots of tours with snorkeling with whale sharks. Temperatures – around 30°C during the day, 20°C at night. First of all, Buenos Aires left a mark in history hosting the 2018 Youth Olympics. And it wasn’t an accidental choice for such a competition. A huge bay with good, stable wind conditions. The are spots with both flat and waves along the coast, mostly for medium size kites. In December and January, you can ride without a wetsuit, but we’d recommend to take a 2mm one to those who get cold easily. Accommodation – hotels from $21 per day. Food – from $12 for lunch. Garzon is a lagoon situated in Uruguay’s south-east. It boasts a stable moderate to strong wind and an ideal flat. Nice waves come from the ocean. The water can be cool, so you’d better be prepared! Temperatures – around 28°C during the day, 17°C at night. Accommodation – hotels from $40 per day. Kenya – it may sound like a wild country on Africa’s east coast. However, it has a great number of spots for all levels of skills and style preferences. Watamu is chosen by world’s top riders. That’s where we recommend going. It’s hot here in winter – you can ride without a wetsuit, but to be on the safe side you can take a 2mm. Accommodation – hotels from $34 per day. Food – from $3,5 for lunch. New Caledonia is a special collectivity of France on an archipelago east of Australia. The main kite spots are south of Noumea, the capital. They’re suitable both for flat lovers and wave lovers. 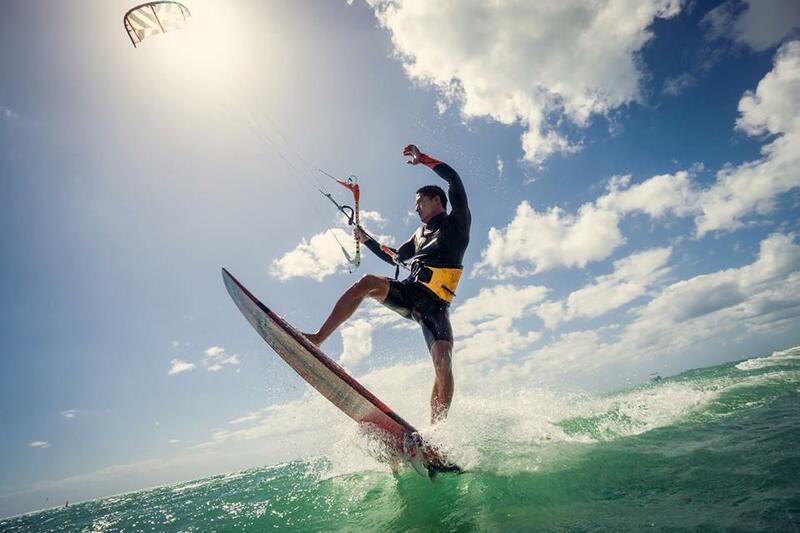 New Caledonia often hosts tournaments attracting kitesurfing professionals, so you’ll have a chance to emulate the sports experience of a classy kitesurfer. Temperatures – around 26°C during the day, 20°C at night.